Riot grrrl was a big part of my life from 1994 to 1998. 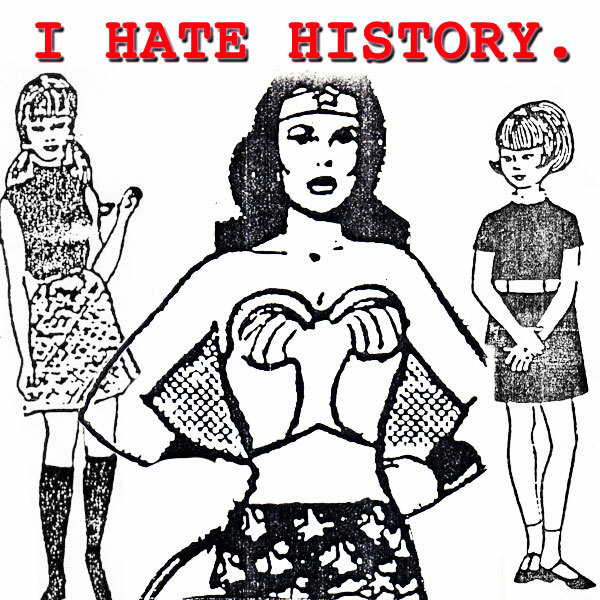 I published a fanzine called Suburbia, was a member of a riot grrrl chapter, co-organized the Bay Area Girl Convention in 1997, and generally was immersed in that world. The message of empowerment, sisterhood and resistance championed by Riot Grrrl had a profound effect on me in my middle and high school years, and I’m so grateful that I had that experience. This mix is a collection of records and releases I assembled during that time. Terror at Sea – Jupiter! Hello Klitty – Quien Te Meter Juan Copete? Ceci Moss is a writer, musician, DJ, and curator. She plays bass in Cellular Chaos and records/performs solo material under the moniker Mi Or and the Pedestals. For the past seven years, she's programmed a weekly radio show dedicated to experimental, noise, prog and other rarities called Radio Heart on KALX and East Village Radio. She is currently the Senior Editor of Rhizome, and prior to that she managed the Special Projects of the New Museum of Contemporary Art and Rhizome. She presently writes and edits the online contemporary art and music blog A Million Keys.